Danny0117 ⭐ Periscope User Stats This is Danny0117 ⭐s periscope stats website page. This is Danny0117 ⭐s periscope stats website page. Danny0117 ⭐ created profile on 2016-12-11 Time 18:58:44 and last update profile time is . Danny0117 ⭐ total followers is 10 and Danny0117 ⭐ total following is 0 . Danny0117 ⭐ twitter nickname is Dannny0117. 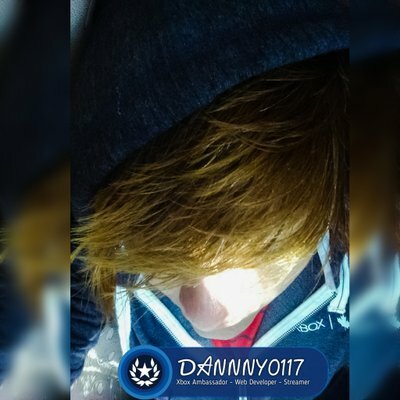 Danny0117 ⭐ is Musical artist - Xbox Ambassador - Mixer Streamer - Web Developer - Graphic Designer – Not Human.